After you invest in a brand new elevator for your home, you will need to make sure that your system is operating smoothly and safely. Rather than attempting to perform elevator maintenance on your own, you should always trust this service to a certified company that installs and repairs elevators serving Salt Lake City. With professional residential elevator maintenance , you will have total peace of mind when you use your home elevator system. 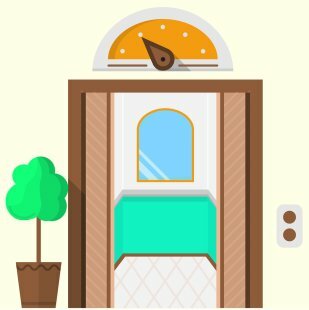 Let’s review some important information that every homeowner needs to know about maintaining a home elevator. Rather than waiting for your elevator to show signs of a mechanical issue before you schedule your repairs, you will want to set up your maintenance procedures before you ever notice signs of a problem. During your elevator maintenance appointment, your technician will carefully inspect your elevator and make sure that all of its systems are up and running properly. Preventative maintenance will keep your elevator in safe operating condition, throughout its entire lifespan. While you may be tempted to repair minor home elevator problems on your own, doing DIY elevator maintenance could lead to a dangerous situation for you and your family members. Instead of breaking out the tool box when you notice an elevator issue, it is a safer idea to bring in the professionals. Your elevator maintenance technician will have the training and tools needed to safely and effectively fix your system. Over time, the many different mechanical components of your elevator will experience natural wear and tear. 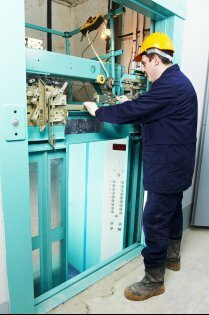 During a maintenance procedure, your technician should always use quality parts that have been certified by the elevator’s manufacturer. When you take the time to set up elevator maintenance at routine intervals throughout the year, you will help to save on the cost of emergency repairs and prolong the lifespan of your elevator. To book your next maintenance appointment, be sure to call an elevator company in your area. Installing a new elevator in Salt Lake City may be a great idea because it makes your home more practical, and the right design can also add to your home’s cosmetic appeal. Overall, installing an elevator should help you get the most out of your home as well as increase its value to potential buyers. Carson Elevator offers several different style options, so you can find the perfect fit for your needs. Between our Signature, Hampton, and Premier Series design options , you should have no trouble finding what you’re looking for. Read ahead for help in choosing one of our seamless designs for your custom residential elevator. If versatility is what you’re looking for, be sure to look towards our Signature cab series. This series offers plenty of customizable options to choose from. You can choose between mirrors and arches as well as wooden stains or paint, and you’ll find even more customization in the cab options. Whether you choose natural oak wood or veneers, the cab in your Signature Series will be available in different colors and finishes. You can also add a smoked mirror panel or laminated safety glass on the side or back wall of the elevator. When simplicity and grace top the list of needs for your custom residential elevator, the Hampton Series may be what you’re looking for. Like the Signature Series, the Hampton Series is also quite versatile and can fit in with modern or traditional home designs. You will enjoy an oak veneer panel for your cab design, and the included oak moldings offer different color options. You can also trade out oak for birch, cherry, or another wood species that suits your taste. There’s nice, and then there’s impressive. If you’re looking to impress with your new elevator, look into the Premier Series. This is Carson Elevator’s top-notch product and can work wonders for the aesthetics in your home. You’ll have a plethora of options for lighting, buttons, and ceiling design in your Premier Series elevator cab, so you can control every aspect of your home design. With today’s skyscrapers getting taller and taller, elevators are getting longer to meet these newfound demands. Over the years, elevator technology has expanded to ensure that all floors of the tallest skyscrapers are serviced. When you ride an elevator, lifts are used to pull the elevator car through the shaft. Using hydraulic technology, a commercial elevator is able to travel rapidly between floors. With proper elevator maintenance, these lifts are able to achieve fantastic performance and efficiency, while consuming very little electricity. A company specializing in elevators serving Salt Lake City can provide you with more information about the science behind elevators. To take a closer look at how elevators work, check out this video. A broken down elevator can cause a major inconvenience in your residential or commercial building. Not only can an elevator repair problem inconvenience you, but a malfunctioning elevator can also cause problems for your clients, workers, or tenants. If you are faced with elevator repair problems , you should be sure to get in touch with Carson Elevators. Our company is thrilled to offer top rated elevator repairs near Salt Lake City. When you call our company to schedule elevator maintenance, you can rest assured that we will restore your elevator back to working condition in no time. 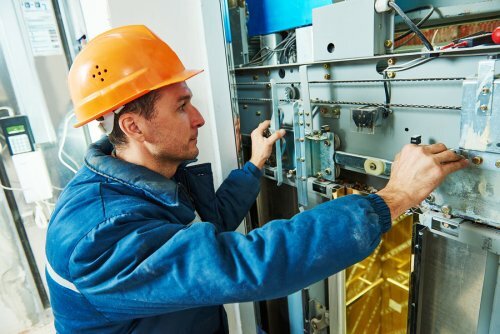 With years of experience in the elevator repair field, our technicians have the tools and skills need to fix any type of elevator. 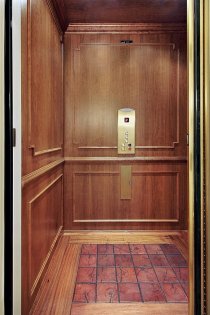 We specialize in services for all types of elevators, including commercial elevators, accessibility elevators, and more. In the event that you encounter an elevator problem in your building, you should not hesitate to give our elevator repair professionals a call. Elevators are important devices for many of today’s modern buildings. Whether you are installing new elevators in your newly constructed building, or want to make sure that your current elevators are working properly, it is a great idea to schedule elevator maintenance with a qualified contractor. A company that specializes in elevator maintenance near Salt Lake City can help you keep your commercial elevator working smoothly and safely for many years to come. If you are wondering about how you can keep up with the repair needs of your elevator, read on for a closer look at the essentials of elevator maintenance. One of the most important steps of elevator maintenance is to keep an elevator operation log. With an elevator operation log, you will be able to keep track of the precise use that your elevator receives every day. By logging your elevator’s daily use, you will have a better idea of when it is time to schedule key maintenance procedures. Your elevator repair company can help you create an easy to use log for your elevator. A malfunctioning elevator can pose a safety threat to anyone who is using the elevator at a given time. To make sure that you catch elevator problems right away, it is a great idea to perform elevator inspections every day. During your inspection, you can make sure that the elevator is travelling smoothly in the shaft, and is able to reach every floor in a timely manner. In addition, you may also want to be on the lookout for graffiti or other unsightly problems. Like any other piece of machinery, your elevator will require routine cleaning in order to stay in peak working shape. When you are cleaning your elevator, you will want to use the proper cleaning equipment. Harsh industrial cleaners, for example, can cause the internal working mechanisms of your elevator to corrode or break. By cleaning your elevator with gentle products, you can help to extend its lifespan. Although home elevators had long been considered a medical necessity, the perception has changed in recent years. Now, residential elevators are among the most desired of all luxury home additions—and for good reason. 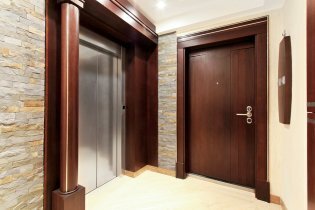 If you’re weighing your options and considering whether or not to have an elevator installed in your home, consider these benefits of a home elevator and then contact a residential elevator company in Salt Lake City . One of the best reasons to install a residential elevator is that it greatly improves the accessibility to the upper levels of your home. This is particularly beneficial if you have older family members living in the home or if you yourself have mobility problems. An elevator can eliminate the risk of falling down stairs for family members and guests who might otherwise have a hard time climbing up a staircase. If you’re building a new multi-storied home, an elevator can help you save a considerable amount of space that might otherwise be reserved for a stairwell. In some cases, the elevator can be installed outside the home on an external wall, freeing up even more floor space inside your home for other features you want to include. Residential elevators are still seen as one of the ultimate symbols of luxury, which means your home will instantly be the envy of guests, friends, and neighbors after you have a residential elevator installed. And unlike some other status symbols, an elevator is actually practical and highly functional. A home elevator is a profitable investment as it can considerably increase the resale value of your home. Not only that, but a feature as unique as a residential elevator will help your home stand out and appear more desirable to potential homeowners. 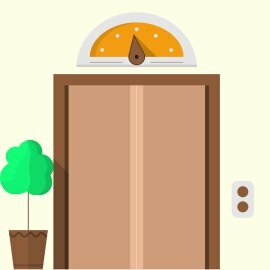 Talk to a residential elevator installation company in Salt Lake City to learn more about the ROI of a home elevator.